After making the initial decision to explore your ancestry and genetic origins, you are faced with a multitude of nuances, separating one ancestry DNA testing company from the next. MyHeritage and DDC DNA Diagnostics Center are both excellent choices for the task at hand, but one will certainly come out on top once you identify your specific needs and expectations. Their services, although high-quality and professional, differ in small but important aspects, even though they seemingly do the same thing. Our comparison will help you spot those differences between MyHeritage and DDC DNA Diagnostics Center, allowing you to make an optimal and fully personalized choice. MyHeritage offers ancestry DNA testing complemented by billions of genealogical records, allowing its users to get a complete picture of their genetic heritage and get in touch with unknown relatives. MyHeritage offers one ancestry DNA test - MyHeritage DNA Test; The test explores your autosomal and gender genes for a full overview of your ethnic percentages. If you subscribe to the company's services, you can complement your final results with billions of genealogical records in its database. 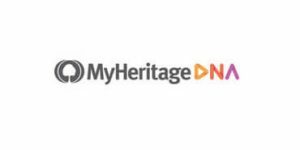 MyHeritage collects only the information necessary to provide its services, process payments, and give you the optimal ancestry DNA testing experience. You can delete or modify your personal info as many times as you choose and MyHeritage will never share, sell or lease it unless required to do so by law. Just an absolutely horrible experience. This site obviously has a bias set to its ratings. The math does not work with these ratings. I ordered the DNA kite for my husband for Christmas its been six weeks still not here, and cant get anyone on on the phone. I dont get all the great reviews im very dissapointed . My Heritage offer a fantastic online facility to research your family history. I feel connected to people whose blood and DNA I carry but died hundred of years ago. I had no idea, until a few days ago my Mothers side of the family were Millers and Corn Dealers based in a sleepy village in Suffolk, England. There also appears to be a child one of my Great Grandmothers had that nobody knew anything about..... such a tantalising mystery! !